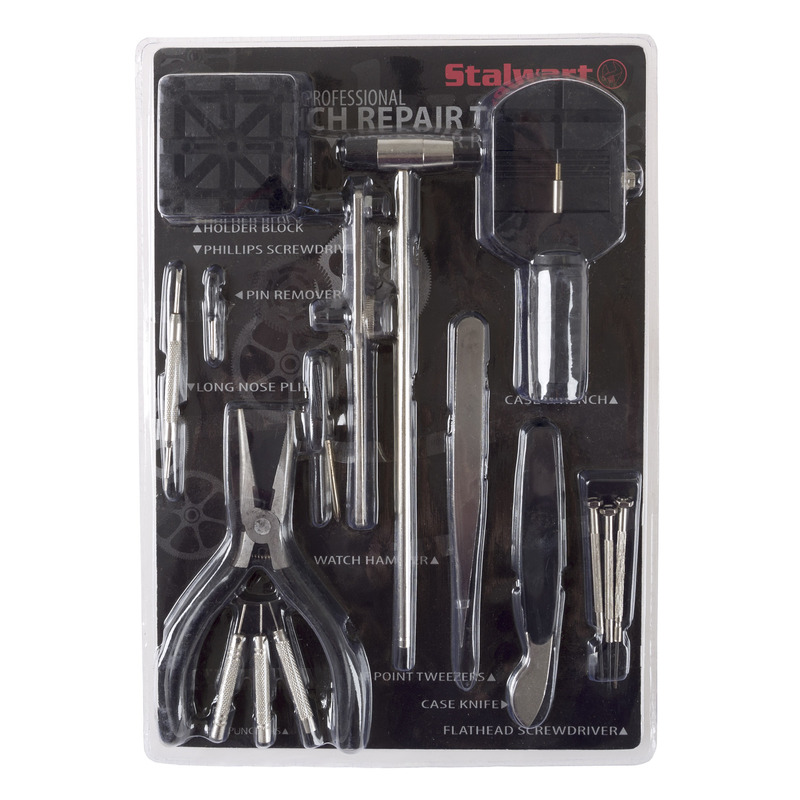 The Stalwart 16-piece Watch Repair Kit has everything you need to keep your watch in perfect working condition. 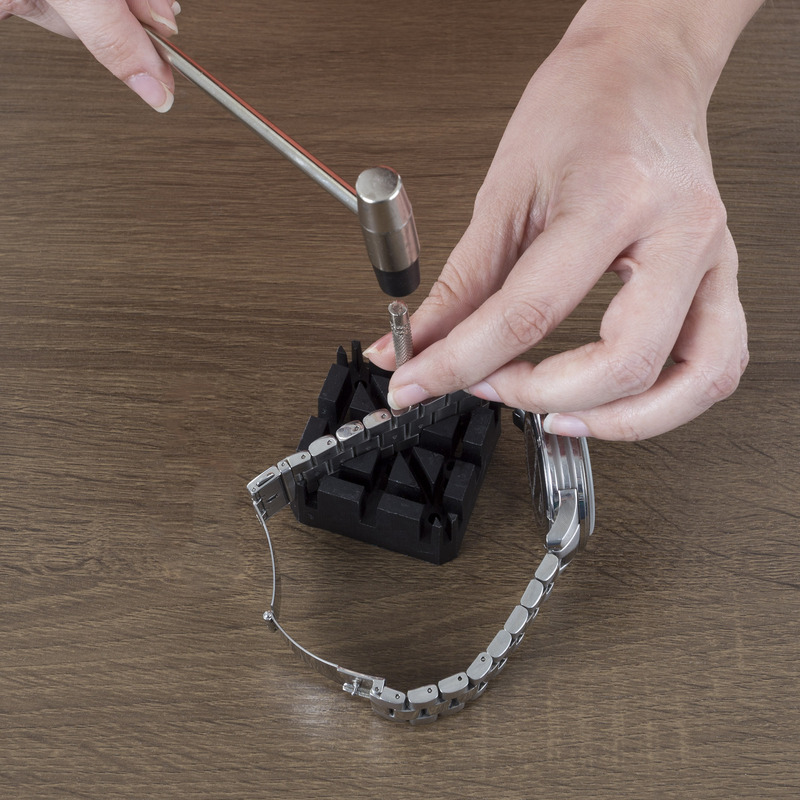 Featuring quality tools, the set helps you easily tackle common watch repairs like watchband adjustments, changing batteries, opening watch backs and more! It is the perfect DIY set that allows you to easily make repairs at home instead of a costly trip to a watch repair shop. COMPLETE REPAIR KIT– This quality 16-piece repair set has everything you need for common fixes like watchband adjustments, changing watch batteries, gaskets, opening watch backs and much more. 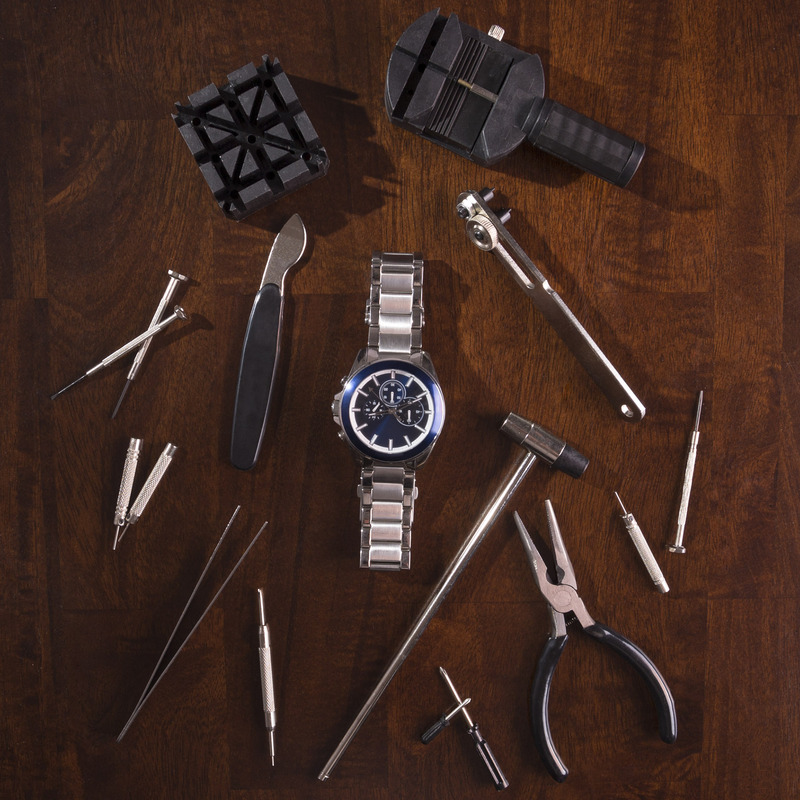 DO IT YOURSELF- The Stalwart Watch Repair Kit has universal tools that make it easy to fix your watch right at home. Having the tools for DIY repairs can also help to save you a pricy trip to a watch repair shop. RELIABLE– Stalwart offers quality you can trust. Whether you are using the pliers, tweezers, screwdrivers, link remover tool or spring bar tool you can rest assured that you have the tools to get the job done with ease and ultimate precision. GREAT GIFT- This set makes an ideal gift for any watch lover or collector for a birthday, Father’s Day, Christmas and much more. 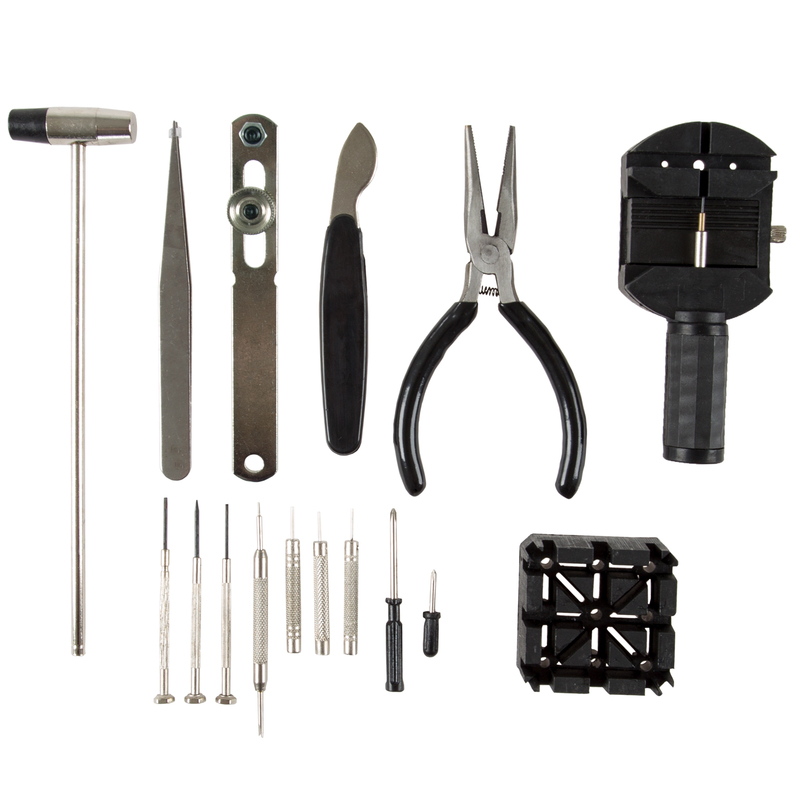 PRODUCT DETAILS– Kit Includes: Spring Bar Remover, Long Nose Pliers, Mini Screwdriver, 3 Pin Punches, 3 Holder Block, Philips Screwdriver, Case Wrench, Watch Hammer, Fine Point Tweezers, 3 Flathead Screwdrivers, Pin Remover, Case Knife.